The latest update in August fixed the performance issues noted on my earlier review. The iPad version was very slow and unresponsive, but it's now snappy again and performing well. My other criticism - of a lack of substantive change in years - still stands, however given that the Mac and Windows versions now have enhanced table formatting support, I live in hope that this will come to the iPad sometime soon. The latest update is a big step backwards. 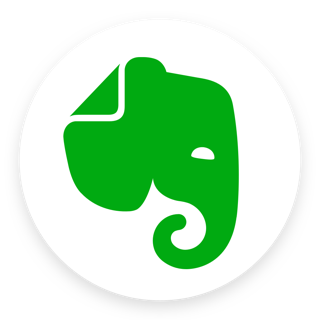 I have been a paying customer of Evernote for a number of years. After some rapid early evolution in the app there has been little substantive changes in years... until this. The latest interface overhaul results in an application which is much slower to load, and at times it appears completely unresponsive to typing. I had been hoping Evernote would implement some of my requested features (such as improved table formatting, implemented cross-platform). I'm very disappointed and will now be looking for an alternative. Simple. Easy to use. Life saver. I’m afraid to give Evernote only 3 stars. It’s simple, easy to use and beautiful. I’ve remembered so much with it; it’s just incredible. I had at one point decided to swap Evernote for Notebook; but no way am I doing that now. This is much better (you can do any amount of spaces and it won’t delete them, there is a moderate amount of tools unlike the overwhelming OneNote and the useless Notebook, and the pictures are good quality too when they are put there) It’s just incredible; how you feel with it there is just ineffable. There’s two things I find annoying about this app. No matter how good it is. Furthermore, usually when I do this the app decides to automatically keep trying to make the page keep sliding down to the bottom, no matter how much I hold the page once I unhold it it instantly goes back to it. THIS IS REALLY ANNOYING and it really tempts me into quitting Evernote. It’s scary in a way too. b) Where are the fonts? How do you change them? They change when I copy and paste stuff, but you can’t actually change it! It’s ridiculous! Please think about this, and thank you for Evernote! As a scientist I use Evernote as a lab notebook because it is secure and syncs seamlessly between my devices. It has advanced features like OCR, it is easy to tag and organize notes, to share them and to add links to other notes. I also like that I can attach every type of file into the note. The only minor annoyance for me is that you can't have nested folders of notebooks. I can group multiple notebooks within a "folder", but I can't move a folder of notebooks to within an existing folder. I tested out a number of different purpose-built electronic lab notebooks and Evernote was by far the best option at that time. 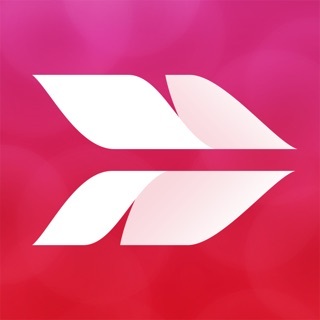 I recommend it to others and also use it extensively for my own personal use to record everything from receipts to important notes and documents. I highly recommend it.